The Svalbard Environmental Protection Fund collects a bit of taxes from every tourist to invest in better protection and management of nature and cultural heritage. 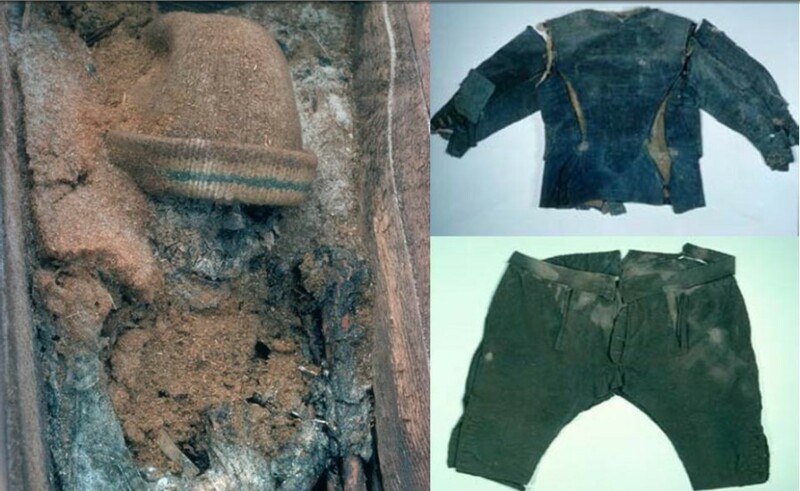 Today, the fund has announced their most recent allocation and given NOK 350.000 (= euro 36.400) for a researh project to investigate the decay of clothing of 17th century whalers in the permafrost. The full description of the proposal is here. It contains a survey with ground penetrating radar and an experiment where various types of textile are monitored while composting in the active layer. More than 35 years ago, the Arctic Centre of the University of Groningen has excavated graves at Smeerenburg and Zeeuwse Uitkijk. During those excavations, a lot of woolen and some silk material was found. Our hypothesis is that it is now quickly rotting away as permafrost is deeper in summer due to climate change. 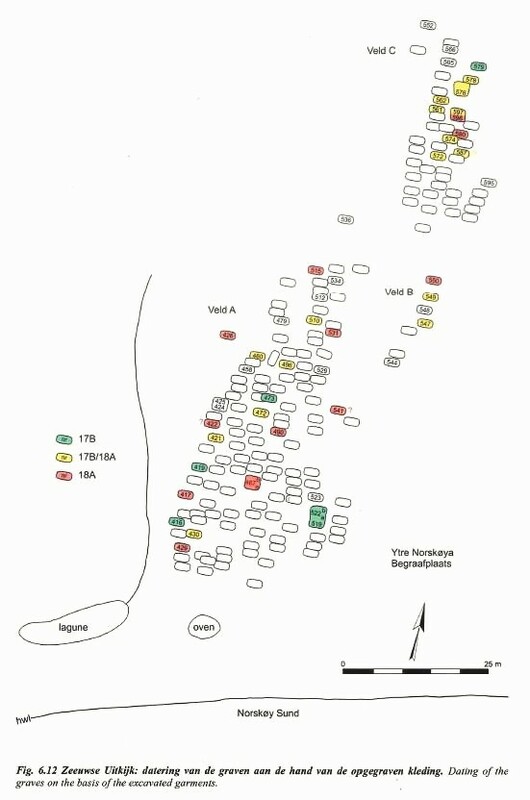 The map of the graves at Ytre Norskøya, where 50 graves were opened and dated more than 30 years ago. This page has been given the following keywords: [archaeology] [cemetery] You can click on each keyword to get an overview about related pages.